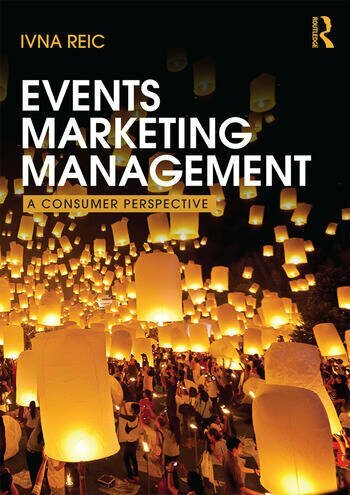 This textbook provides students with an essential introduction to the theoretical underpinnings and practicalities of managing the marketing of events. In order to market events effectively, it is vital to consider marketing of events from the organiser’s perspective and to link it to that of the consumers attending events. As such, this is the first book on the topic which reflects the unique characteristics of marketing in the Events industry by exploring both sides of the marketing coin – the supply and the demand – in the specific context of events. The book takes the reader from core marketing mix principles to exploring the event marketing landscape to consumer experience and involvement with event marketing and finally strategies and tactics employed to manage the marketing activities related to events. The use of technology, importance of sponsorship and PR are also considered. International case studies are integrated throughout to show practical realities of marketing and managing events and a range of useful learning aids are incorporated to aid navigation throughout the book, spur critical thinking and further students’ knowledge. This accessible and comprehensive account of Events Marketing and Management is essential reading for all students and future managers. Ivna Reic is currently Senior Lecturer in Events Management at the University of Northampton’s Faculty of Business and Law where she teaches on the BA Events Management programme. Before moving to Northampton, Ivna was Course Leader for the BA Events Management programmes at London Metropolitan University, where she also taught on postgraduate programmes related to events management and events marketing. Her academic interests include events marketing and consumer psychology, corporate events, as well as exploring the application of general management theories within the area of events management, most notably theories relating to stakeholder management and sustainability.